Freelance writing may sound like it’s only for the pros. However, on many writing sites that pay by revenue-sharing, anyone can share their knowledge and get paid for it. 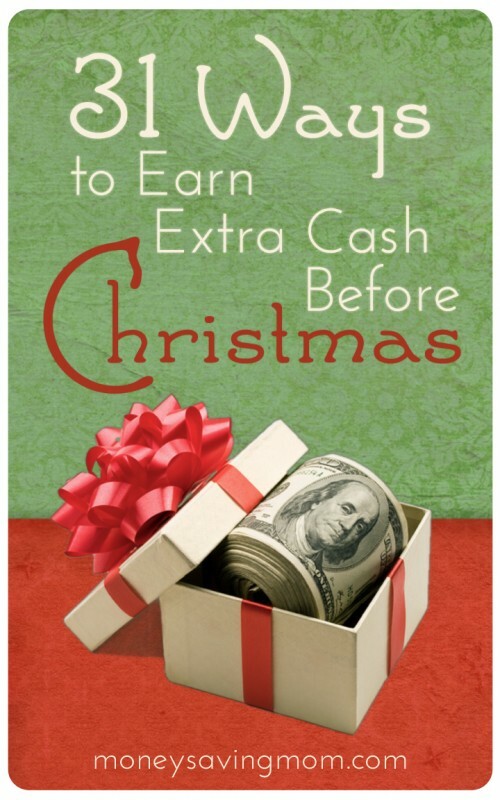 Get started now and you may have enough time to earn some cash before the holidays. What Are Revenue Sharing Writing Sites? Revenue-sharing sites are websites that pay freelance writers based on page views or page clicks. They are often referred to as revenue-sharing sites because the amount they pay is based on the amount of money they are earning from traffic to your articles. They pay you a portion of that money, thus, sharing their revenue with you. What Are the Differences Between These Writing Sites Compared to Others? The internet is full of freelance writing opportunities, but unless you are a recent journalism or English major, most of them are going to want some kind of experience — even if it is just publishing on your own blog. Almost all regular freelance writing companies will want writing samples submitted showing where you have previously been published. For this reason, inexperienced writers will find these assignments or jobs hard to come by. Revenue-sharing sites, for the most part, do not require prior experience. Some do not even have an application process, just sign up and start writing. The pay is obviously another big difference between revenue-sharing sites and others. These companies can afford to take on inexperienced writers because they are not paying up front. This means they can take a chance on writers who will prove their worth by bringing in the traffic. What Are the Advantages of Working With These Types of Sites? No waiting period to getting started, and no long application process. Some sites allow you to sign up and start immediately. Flexibility to work as much or as little as you want. No deadlines or minimum number of articles to stay on with the company. Earnings of an article over time have the possibility of being greater. For most sites, your article remains there indefinitely. This means that an article could continue to earn money for many years. Experience publishing articles on reputable websites that can then be used as writing samples to apply for freelance writing jobs that pay up front. Writing for the revenue sharing sites that offer some sort of editing process before your article is published can also be a great learning experience. Pay close attention to what changes were made and why. Freedom to write about the topics you are interested in. Many writing sites will assign you certain topics or titles, while most revenue sharing sites give you the freedom of creating your own topics and titles based on your knowledge and background. Ability to use your own affiliate links, meaning that you can earn money by linking to affiliate besides the money you are earning for the article. What are the Disadvantages of Writing for These Sites? No guaranteed income; putting in time and energy without knowing what the outcome will be. Money from your articles may take a while to start coming in. Minimum cash out amounts that many sites have mean it may take a while to see your first check. This all depends on how quickly you can start driving traffic to your articles and how much traffic it adds up to. Lack of editing process means not having a second pair of eyes on an article — however, most sites do allow you to edit your own articles if you spot an error after hitting that publish button. Brush up on your grammar using sites like Grammar Girl before getting started. Quantity of articles that you need to write to start earning a decent income. Depending on expectations for income, you’ll need to write a lot! Those who make a lot of money from revenue sharing sites often make that money from the sheer volume of articles they write. Marketing yourself and your articles by learning how to write with SEO and keywords in mind, as well as promoting them on social networks is part of the process that some consider a disadvantage, but this will help immensely in getting traffic. What are the Best Revenue Sharing Sites to Get Started With? Squidoo — Sign up and start writing immediately. Write about any topic, and you can include affiliate links. Hubpages — No application process but you need to sign up for your own Google Adsense ID and set it up. Affiliate links allowed. Helium — No experience required. Some articles include a small upfront payment. Participation is required in rating the other articles on the site in order to continue earning on your own articles. Yahoo! Contributor’s Network — Offers small upfront payments and performance payments. ExpertsColumn — Sign up and get started, low minimum payout of $5. Firehow — How-to website, no experience required. Suite101 — Includes a proofreading process, but they are currently in the middle of a relaunch, so check back soon. Previously they did require an application process, not sure what the new process will be. Have you worked for revenue sharing sites before? If so, tell us about your experiences! I write for Squidoo and I absolutely love it. It’s the only place on the web I’ve been able to make legitimate money. Please note, though…if you start on Squidoo today, you will not make any money from Squidoo before Christmas. There is a 2 month delay for revenue-sharing part and it will take a bit of a learning curve to get your pages ranked. However, if you are SEO savvy and you have experience as an affiliate, you could definitely get pages indexed quickly in Google and start making sales right away, so in that respect, you could certainly make some $ before Christmas. Squidoo is the best move I ever made in affiliate marketing! I wrote for 451press for awhile before they folded. The experience was OK. I made money. Not a lot, though, and I always wondered whether concentrating my time on building my own blog wouldn’t yield better and more satisfying returns. The biggest thing to check out in all of these is whether or not you own your work. Usually, you do not. Just be sure you are OK with it. I wrote for Examiner.com for a couple of years but they made a lot of changes this past spring that made it not worth my while. They stopped paying for written content and started to only pay for your article if you uploaded videos or slideshows. Before they made those changes, I had 4 or 5 topics on the site and I earned around $100 per month plus I got some free product samples to review. Now I write for a different client as a ghostwriter and there is so much less hassle and they payout is so much better. I get paid weekly now instead of monthly and the pay per amount of time it takes me to do work is a much better wage. I miss the reviews though, as those were fun. I wrote for Hubpages for years and made good money. They were re-evaulated by google and the earning dropped significantly, t hen they launched their own ad program that runs alongside google and the google earnings dropped even more. I don’t write for them anymore but I still make $100 or so every month based on the articles I have up. So even when you aren’t actively writing, you can still be earning, which I like. Thanks for sharing your experience, I had heard some writers over there were not making as much as they used to. Amy- SEO is Search Engine Optimization (I believe). It has to do with key words that you put into your article that search engines like Google use to rank pages. (They use other factors too in addition to this.) Someone please comment if I am wrong! I had a bad experience with Suite 101. So much work for so little money! I have written some articles on hubpages (bradthegeek.hubpages.com). Not many, and they do not get many hits, but it adds up over time. My articles on Mechanical Turk were highly listed in google for a short while and making .50 to $2 a day, then for some reason google dropped them way down in the search rankings, although other hubs on similar topics are still on the first page. That was frustrating, but it is an easy way to write about something you love and perhaps make a little from it! I’m not clear on affiliate links. You can sign up to be an affiliate for all kinds of products. Most people use sites like clickbank or commission junction to find products they like and then you are given a specific link so that when someone buys that product from clicking on your link then you earn a certain commission. Amazon also has a way you can earn money like this. For instance you could write an article on one of these sites about how easy it is to pack lunches using bento style lunchboxes and then link to your affiliate who sells them. You could write about how to earn money with Swagbucks and then use your affiliate link to send readers to their site. 1. They have strict policies about using outside links and pictures in your articles. They allow it but there are certain condition. Make sure you read those policies before you start writing. One of my hubs kind of went viral after I wrote it…but then after a few months they unpublished it because they thought it was violating some of their policies. I had to go and fix those things and then only they allowed me to republish it. However once you become familiar with their process it becomes much easier to publish and maintain hubs. 2. They have very well optimized ads and ad placement. Compared to the time I invest on my blogs and the return on that time, I get paid much better on hubpages. 4. The hubs now send a bit of traffic daily to my blog. It is not a lot, but it is consistent and it is not dependent on someone else. That is another advantage of using hubpages. I recently started writing on Squidoo. It is a great community. I don’t know much about SEO or blogging but the people on the writing platform have been so helpful. I made a little over $4.00 my first payout (2 months after you publish your first page). I have made a total of $25.00 in 4 months but I am confident I will continue to earn more each month through sales. The best part about Squidoo is that it has Amazon and Ebay modules built in so you do not have to be an affiliate to make money from sales.